Ongoing development of portable sensor technologies and a growing body of research studying the effectiveness of traditional physics laboratories have brought the form and function of introductory physics laboratories under question. At the University of Illinois, we have piloted a new model of introductory laboratory in our calculus-based mechanics course that implements changes in both the form and function of the laboratory. The new format takes advantage of the flexibility of new sensor technologies, while aiming to challenging students to engage critically and creatively in the scientific process. 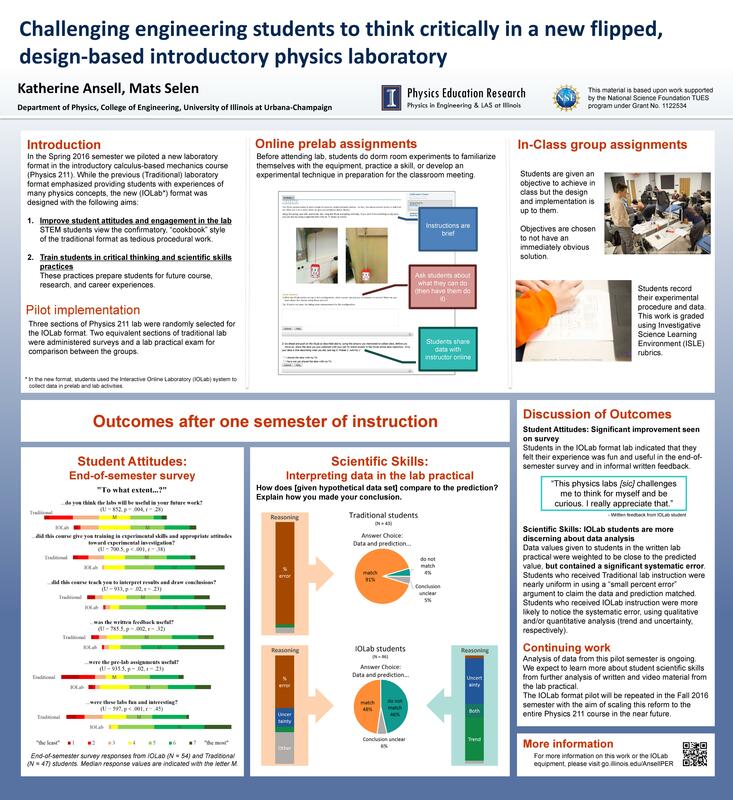 In this poster, we will describe the components of this new laboratory model, including our use of the Interactive Online Laboratory (IOLab) system. We will also show preliminary results of the effect of this laboratory model on student attitudes and skills.